Completely avoiding debt in life can be incredibly difficult, if not impossible for those who hope to purchase a home. In fact, debt is probably a necessary part of life. Of course, not all debt can be considered good or helpful in the grand scheme of things. Debt can create stress. In fact, debt has documented health and emotional effects. As parents, you probably want to protect your children from hardship as much as possible. Of course, it’s entirely unrealistic to protect them from everything that will come their way. Helping your child avoid crippling debt as they enter adulthood is one of the greatest lasting effects a parent can have. However, the concept is much easier said than done. How can parents actually protect their children from debt as they become adults? Here are some strategies that you can put into place. Starting college planning before your child can even walk or talk may seem early to some people. However, early saving for college makes it easier on your budget and helps your child avoid student loan debt after graduation. The statistics about student loan debt are staggering. In fact, over 70% of college students graduate with debt and the average amount works out to just over $37,000 per student. College students are increasingly saddled with growing amounts of debt before they even find jobs in their field of study. Student loan debt doesn’t just make life difficult for a few years after graduation, either. The sobering truth about student loan debt is that many Americans die while still owing money on student loans. These loans can literally follow people to the grave. Saving money early for your child’s education makes things easy on your budget and could save your child a lot of debt-related stress down the road and into adulthood. While you are saving as a part of your college planning strategy for your child, you should also be passing on those good habits. It’s never too early to start teaching children about budgeting, banking, and saving. The most important thing to keep in mind is to make your budgeting lessons age appropriate. Plan family meetings to discuss finances and pass along wisdom. Open a bank account and savings account for your child so they can begin to practice the concepts you are teaching. Most importantly, allow them to set goals and work toward those goals. Some children may want to save for a new video game console while others will set their sights higher as they save for vehicles or college expenses. 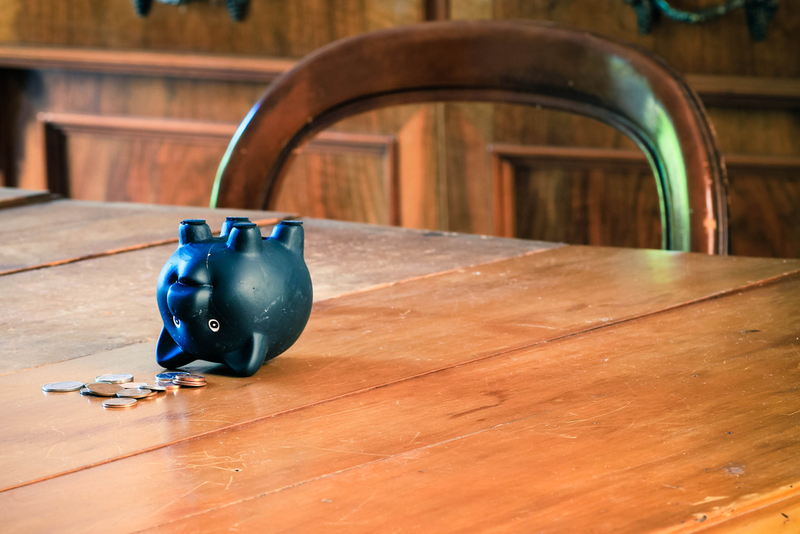 Getting into the habit of creating and sticking to a budget at a young age can help avoid a lot of debt-related issues down the road. Children who know how to budget will carry that knowledge with them as they begin creating entire household budgets for their own family. The concept of a living inheritance has become more popular in recent years. Instead of waiting until after death to give money to family, many people are opting to give money while they are still alive and can enjoy the happiness and growth that their financial assistance can offer. Living inheritances are often used to assist children with buying their first home, putting grandchildren through college, or helping pay off debts. Where do you think your money can be most effectively used? Of course, planning a living inheritance comes with some additional considerations. People who provide a living inheritance still have to consider their own living expenses. There may also be tax implications for giving away money. Meeting with a financial planner is important if you are considering a living inheritance. You may also want to have a family meeting to help make your wishes clear and get a better understanding of what your family thinks about the concept. One of the most effective ways to ensure your child doesn’t have a lot of debt as an adult is to ensure that you don’t leave behind significant debt yourself. A life insurance policy that covers your debt obligations is important, especially if you hope to pass along an inheritance to family or friends. While your children typically aren’t obligated to pay out your debt after you pass, the creditors do have the ability to seek repayment from your estate. Before any funds or items can be distributed to your family, your debts must be repaid. This can cause a significant decrease in the intended inheritance. Life insurance is a great way to protect against this kind of surprise and ensure your legacy is protected. If you are unsure of how much coverage you need to cover your debt obligations as well as other aspects of your life then you may wish to sit down with an expert advisor to discuss the options available to you. Did you notice a theme develop throughout this article? Protecting your child from debt later in life requires planning on your part beginning when they are just young children. College planning, life insurance discussions, family meetings, estate and retirement planning all come into play when discussing debt avoidance for your children. If you’re unsure of how to get any of these conversations started then there’s one place to turn. At Mooney Lyons, we work with our valued clients to capture their entire financial picture and provide complete solutions to ensure that their future and the future of their family is protected. Wondering how to start your first of many family meetings? Concerned about college planning? Whatever it may be, give Mooney Lyons a call at 847-382-2600.